Scientists have found evidence that tiny, distant Pluto harbors a hidden ocean beneath the frozen surface of its heart-shaped central plain containing as much water as all of Earth’s seas. The finding, reported on Wednesday in two research papers published in the journal Nature, adds Pluto to a growing list of worlds in the solar system beyond Earth believed to have underground oceans, some of which potentially could be habitats for life. Liquid water is considered one of the essential ingredients for life. The discovery was made through an analysis of images and data collected by NASA’s New Horizons spacecraft, which flew past Pluto and its entourage of moons in July 2015. Despite being about 40 times farther from the sun than Earth, Pluto has enough radioactive heat left over from its formation 4.6 billion years ago to keep water liquid. Scientists made the discovery as they were trying to figure out why a 621-mile (1,000-km) wide impact basin known as Sputnik Planitia, which contains the curious heart-shaped region, was located in its present position near Pluto’s equator. Computer models showed the basin likely filled with ice, which caused Pluto to roll over, cracking its crust. 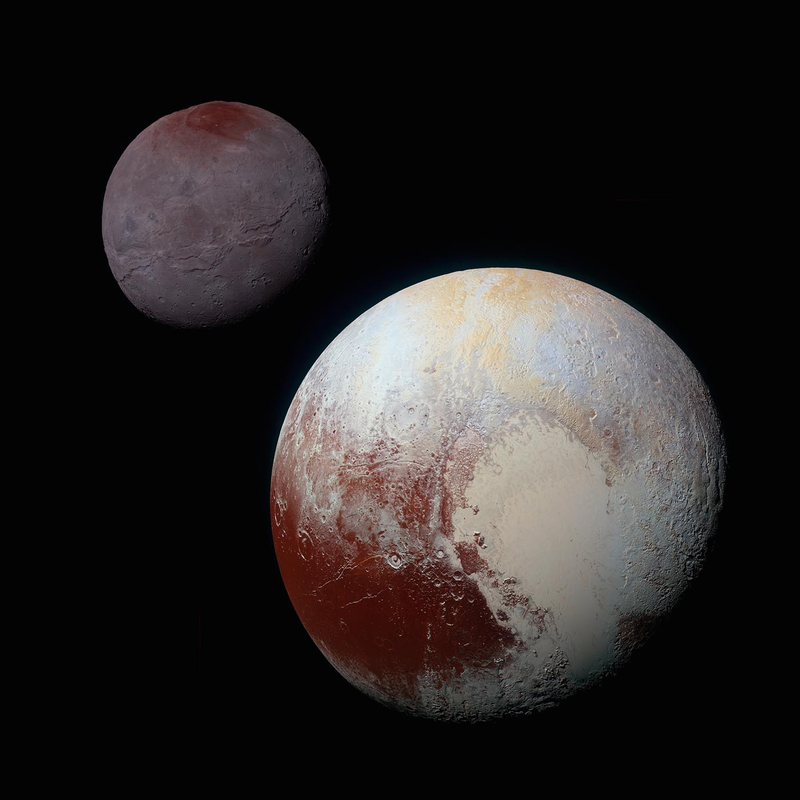 That could happen only if Pluto possessed a subsurface ocean, the analysis found. New Horizons is on its way to another frozen world in the Kuiper Belt region of the solar system about 1 billion miles (1.6 billion km) past Pluto. A flyby of the object, known as 2014 MU69, is scheduled on Jan. 1, 2019.